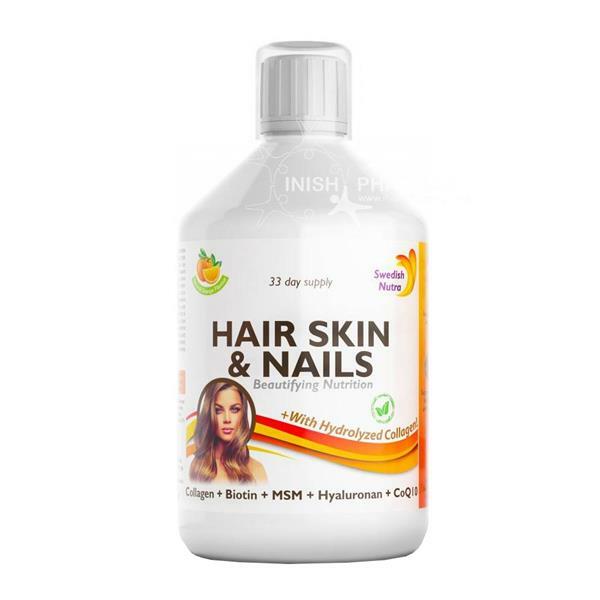 Swedish Nutra Skin Hair & Nails is a specially formulated liquid supplement packed with essential vitamins, minerals, amino acids and collagen for the healthy production of shiny hair, healthy skin and strong nails. Taking this formula supports good blood flow and the transport of nutrients to the different areas of the body. Dosage: Take 15ml in the morning.